Well, this is a bit disconcerting…. ...I've never read Joshua Foer's bestselling "Moonwalking With Einstein," but have always seen excellent reviews of it. So I was surprised to read in the comments to the above NPR piece that apparently in that volume Foer expressed doubt about Tammet's genuineness, believing he may just be a highly skilled mnemonist (memory expert) who passes himself off as a synaesthete and savant (turns out Tammet's real name is Daniel Corney though he had it legally changed over a decade ago, and Foer marshals evidence that Tammet isn't always candid about how he succeeds at what he does). The above has 6 pages (or 163 responses) of comments to sift through about Daniel Tammet (I haven't read them all myself, but they're not very encouraging for the authenticity of the standard Tammet-savant view). It's enough to make one a tad more leery of those neuroscience "experts" who study and report on savants (a bit reminiscent of scientists who studied and were taken in by Uri Geller decades ago) -- is the reality ever as incredible as portrayed by all the hype? Still, savantism, including extraordinary mathematical abilities, remains a fascinating subject area, but perhaps one where a focus on Daniel Tammet is not entirely appropriate (of course the tricks of mnemonists are an interesting topic in their own right, just a different topic). Perhaps tellingly, Tammet himself, has long voiced a belief that his talents are not so rare or extraordinary, but rather are a function common to human brains, just not readily accessible to most people... that would indeed make sense if Foer's contention of extensive mnemonist training was the underlying mechanism. Anyway, sorry if this is all old news for some of you, and you were already aware of the so-called "debunking" of Tammet; it was news to me that, given my occasional interest in savantism, seemed important to share, especially since Tammet is currently getting attention here in the States where his "Thinking In Numbers" volume was only recently widely distributed (it was available through the UK a year ago). I still enjoy the volume... but with at least a bit more of a grain of salt. And I should add, Tammet remains an interesting fellow, whether it be as a true savant, OR as someone who has successfully pulled-the-wool over the eyes of trained specialists (getting a lot of free travel and attention in the process)! "In Love and Math, renowned mathematician Edward Frenkel reveals a side of math we’ve never seen, suffused with all the beauty and elegance of a work of art. 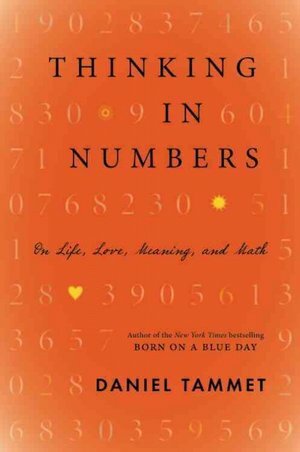 In this heartfelt and passionate book, Frenkel shows that mathematics, far from occupying a specialist niche, goes to the heart of all matter, uniting us across cultures, time, and space." Any volume from Alfred Posamentier is to be looked forward to, and the latest one, "Magnificent Mistakes In Mathematics" is no exception (written again with Ingmar Lehmann); a fairly quick and entertaining read for typical math buffs, with a focus not often found in math books… on famous math errors. The book endeavors to demonstrate that even the precise, empirical field of mathematics has its share of mistakes made by prominent, knowledgeable practitioners in the road to progress. And they note that the very need to examine and explain math 'flaws' is a good thing, often leading to whole new ideas/concepts. 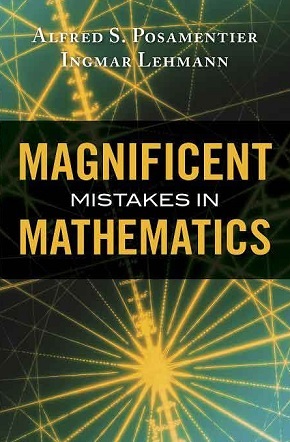 The book starts right off putting the reader at ease by highlighting "noteworthy mistakes by famous mathematicians," including such accomplished figures as Pythagorus, Galileo, Fermat, Leibniz, Euler, Poincare, and several others. It's as if to say 'if the remarkable Euler blundered why should YOU dread making math mistakes.' Many of these errors are well-known, but still interesting, or in some instances even humorous (for example a blackboard mistake by Enrico Fermi that ended up saved for posterity on an Italian postage stamp). Interestingly, at the end of the chapter it is mentioned that the also extraordinary Carl Friedrich Gauss was not known to have made mistakes in his published material. Chapter 2 embarks on the progressive journey through mathematics with a look at mistakes in arithmetic. This may be the least interesting, or most mundane of the chapters, and is followed by chapters that delve, in order, into algebra, geometry, and probability and statistics errors; a seeming natural progression from the more abstract to the more applied or real-life-type examples. Geometry mistakes, of course are often a matter of misperception or interpretation (moreso perhaps than algebra, where mis-computation may be more frequent). In the geometry realm I was very surprised that the volume leaves out one of my very favorite 'mistakes,' which goes around the internet from time-to-time, demonstrating that pi=4: http://www.bestwtf.com/2010/11/explaining-why-pi-is-4.html The sort of error involved, "misleading limits," is documented in the book with other classic examples, but still, the circle-inscribed-in-a-square paradox is so good it ought not be missed. Of course probability and statistics are perhaps the cause of more slippery mathematical mistakes than any other area, even among professional mathematicians. It is often famously told that even the great Paul Erdös initially had difficulty with the 'Monty Hall problem,' so it is a good chapter to end the book with. Many deceptive probability conundrums of recent times are now pretty much classic, and continue to elicit great debate when heard for the first time. There are LOTS of types of examples used through the book, demonstrating how varied the sources of math mistakes can be. Having said that, there is also sometimes redundancy to the many examples employed for any one sort of error; but using multiple examples to make a point is not necessarily a bad thing. For the professional or broadly-read mathematician this won't likely be a highly substantive or weighty math read. The bulk of examples in the volume are well-known, but what is new is bringing them altogether under one cover-to-cover format… an entire book focused contrarily not on what math does right, but on where it may go wrong. I think this somewhat unique approach makes the volume a worthwhile, entertaining addition to one's math bookshelf, and it may be particularly useful to secondary school teachers, providing a lot of grist for instructive, thoughtful examples in the classroom. As the authors repeatedly note, there is a LOT to learn from mathematical mistakes. In short, a thumbs-up for this volume! Posamentier seems to produce a new book almost every year, and each one simply leaves me wondering what will he come up with next. 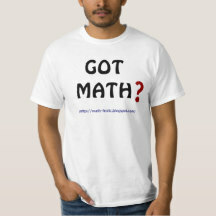 "Mathematics is beautiful--and it can be fun and exciting as well as practical. Good Math is your guide to some of the most intriguing topics from two thousand years of mathematics: from Egyptian fractions to Turing machines; from the real meaning of numbers to proof trees, group symmetry, and mechanical computation. If you've ever wondered what lay beyond the proofs you struggled to complete in high school geometry, or what limits the capabilities of computer on your desk, this is the book for you." "There is nothing to look at in Dr. Leonard Adleman's office at the University of Southern California, no clue that the office is even occupied. There are no pictures of his wife or of his three daughters, no cartoons or mementos -- just a computer, two chairs, a desk and a blackboard. And that is fine with Dr. Adleman. For although he is an active faculty member at the university, although he is a devoted husband and father, his is a life of the mind. "It is a life that is nourished by deep philosophical questions and the overarching beauty of mathematics. It is a life that involves days, weeks, months of pure thought, alone in his equally barren office at his home in Northridge, Calif., 30 miles from the campus. And it is a life that has led Dr. Adleman to play a central role in some of the most surprising, and provocative, discoveries in theoretical computer science." ...and just gets better and better from there. 3) Finally, a blast from the past… if you're ~55 or over a trip down memory lane…. Re-reading an old Jeremy Bernstein volume ("Cranks, Quarks, and the Cosmos") recently, I came across his chapter on Tom Lehrer (unfortunately I can't find a free full copy of it on the internet). Lehrer was a popular, clever, irreverent singer/satirist of the '50s, '60s and 70's before he largely retired from the scene (he was, by his own admission, a huge fan of Danny Kaye, whose style he very much emulated). So for any who don't know, Lehrer entered Harvard at the age of 15 and majored in mathematics, graduating at 19; a year later he got his Masters degree (and worked on, but never completed PhD. work). He taught for awhile at Harvard, MIT, and Wellesley. Joining the Army in 1955, Lehrer worked a couple years for some outfit called… drrrrrrumroll… the NSA! 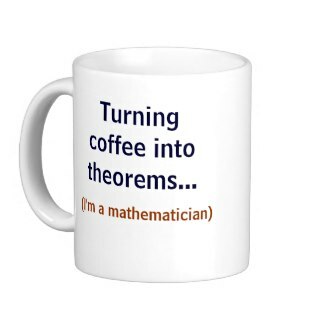 Anyway, Chu-Carroll and Adleman may well be fun guys as well for all I know, but Lehrer took math and fun to the level of turning it into a living. Nice work if you can get it (actually, a lot of his satire wasn't math-related).